A modern take on the timeless black tea. 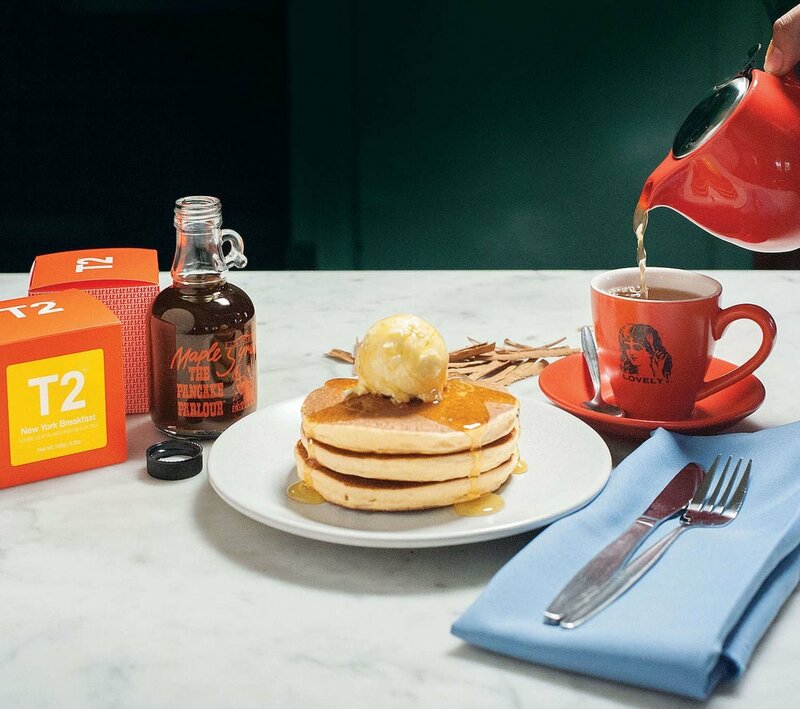 The T2 New York Breakfast seizes your attention and holds it close. Both an early riser and twilight chaser, this tea inspires all day long. Be whisked away by sweet notes of vanilla, and near after empowered. Independent and perfect on its own. Allow a dash of milk for tradition’s sake. Our world famous pancake stacks served with maple syrup and your choice of whipped butter, cream, vanilla or chocolate ice-cream. This pancake is a force. Much like its perfect match, its spirit is daring and effortless. The maple syrup unites wonderfully with the NY Breakfast’s vanilla notes. Straight to the point. This pair tells you their story from start to end, without missing a beat. A wise man once said, “money talks, but chocolate sings!”. A delicacy of the ages, the cocoa bean is diverse, robust and the ultimate charmer. T2 Hot Choc tea is no exception. Abundant with flavour, this tea combines husks, chocolate drops and a dusting of cacao powder bound to astonish. Oh T2. With strawberry coulis and icing sugar. Served with a choice of fresh cream, vanilla or chocolate ice-cream. Sweeter than you, this pancake is effortless and aims only to please. Understated yet accomplished. A punnet of syrupy strawberries topple over the pancake, enriched with coulis. It honestly breaks our hearts. A true romantic, our Fresh Strawberries pancake only has eyes for the T2 Hot Choc. Is this real life? Are we really able to enjoy a tea dedicated to a dessert hero? You’ll have to excuse us - we’re just a little in love. This T2 number tastes just as it reads. With notes of spicy cinnamon and chicory root, the Apple Crumble offers a warm and woody place deep into our hearts. Warm spiced apple with cinnamon. Served with fresh cream or vanilla ice-cream. Close your eyes. Take a second, imagine walking into your kitchen. The smell of hot pancakes, spiced apples and vanilla fills the air. Ok, got it? Is this the time where we say enough said? What. A. Pair. Together, these two warm up your insides and give an ode to home cooking. Aromatics guys, it’s all here. Wow. All colour and full of surprises, this tea will take you on an adventure! No truer leader, the Pumping Pomegranate ain’t for the faint-hearted. With notes of apple, hibiscus and rosehip you’ll feel bewildered and nostalgic. Refreshing when chilled, but an extraordinary infusion served hot. Winner. Lemon Custard, raspberries, rhubarb, vanilla ice-cream and lime zest. The racy winner. 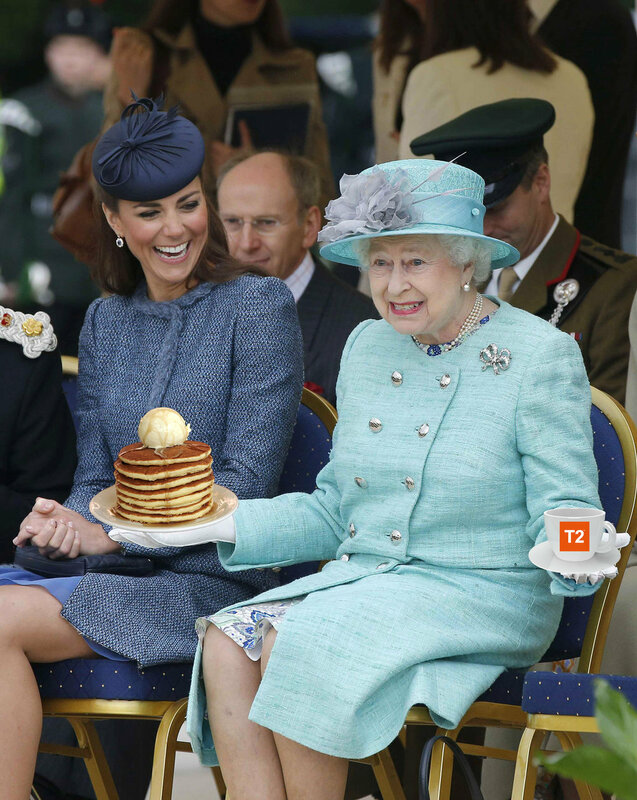 This pancake is a hot little piece! 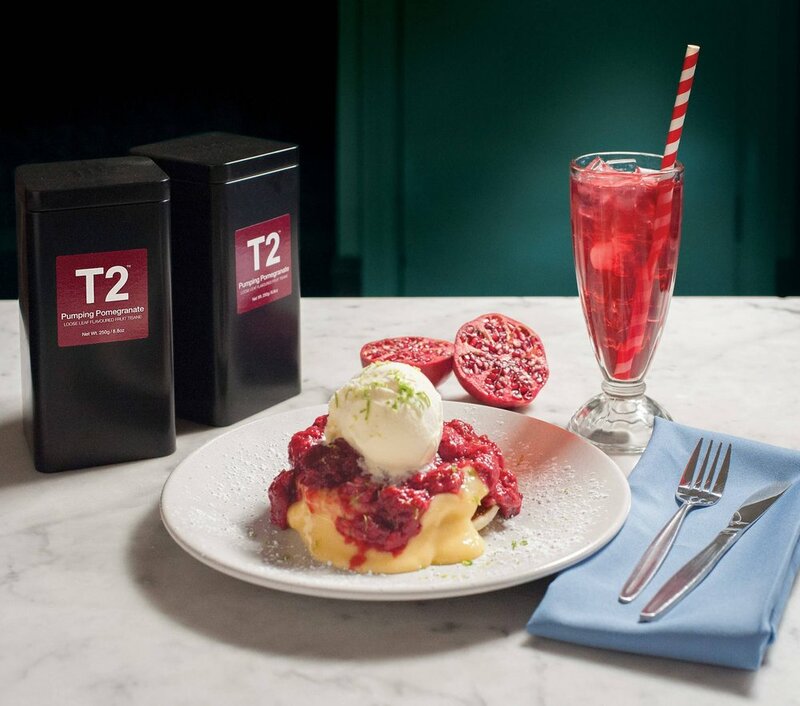 Fresh raspberries and a cooling lemon custard team delightfully with the fruitiness of the T2 Pumping Pomegranate. Better together. With a zest of lime for good measure of course.